The storms have finally passed and we have a breather before the next round. 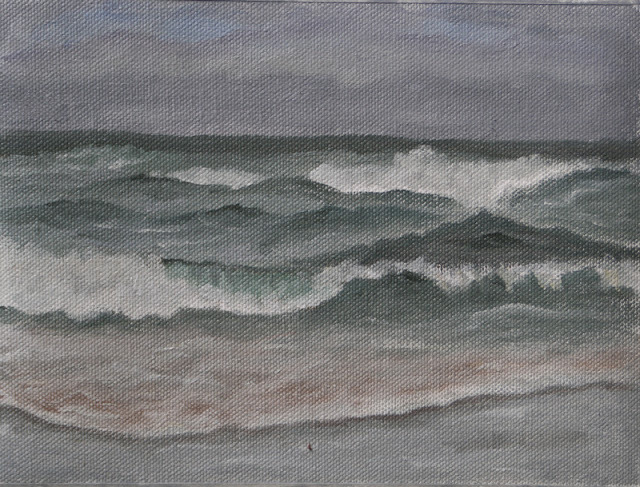 I popped down to the beach before high tide to paint and was rewarded with some lovely waves going all over the place. There was a pretty stiff breeze coming right off the water and it made my eyes water. The first hour I kept having to stop to wipe my face and eyes as the tears just kept streaming down. The wind finally shifted a tiny bit so my eyes stopped watering. I tiny bit of blue was in the sky and the sun was mostly hidden but it did pop out a few times. Both of these studies were done in one hour. I have been setting my timer on my phone and it works out pretty good. I am surprised what I can get in one hour now. I am going to try a couple of wave studies on copper. I was added to a copper painting group on Facebook and have been impressed and inspired by the paintings. I also met another artist there who is on the central Oregon coast. Her work is beautiful. 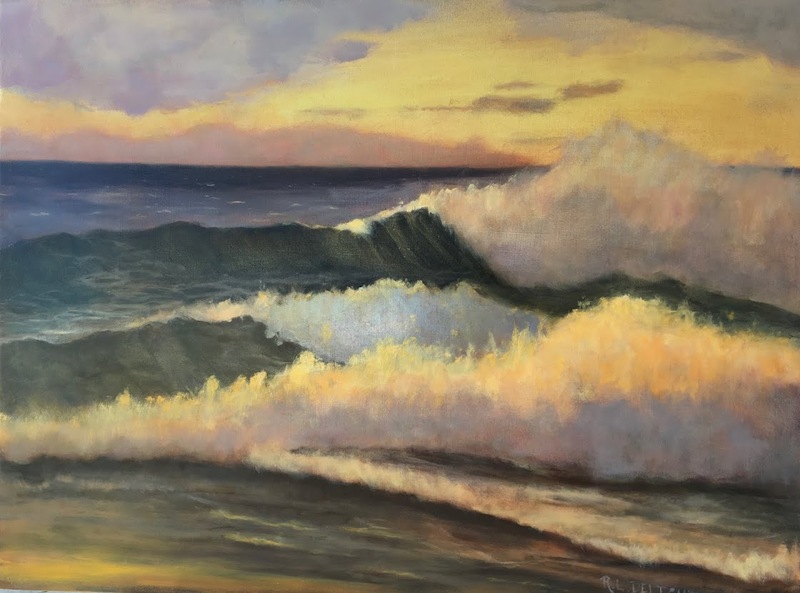 She has been painting waves for two years and has done 600 wave studies! Pretty inspiring. Alas, I have a long way to go. I completely get why she has done so many studies. 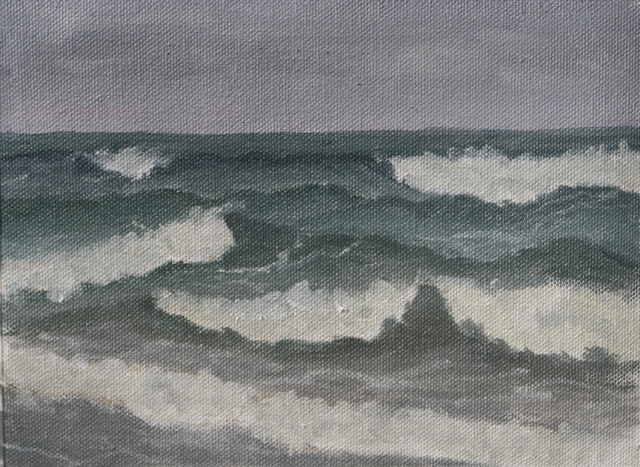 Painting the sea takes a lot of work to get it done right. The weather this week is going to be very changeable so I will have to play it by ear when best to go out. When I can't get out, I will continue to work on my large painting. I hope to get to a point where I can share part of it soon.